Finding exercise that you actually love and enjoy can be a grueling task. If you’re still searching for that one true love, we may have a solution for you. 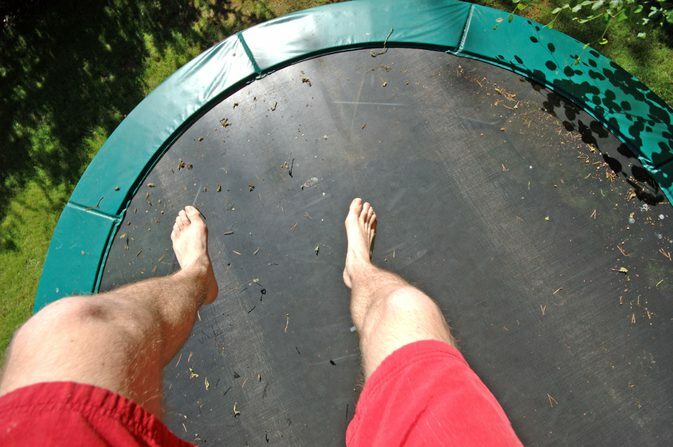 Have you ever considered using a trampoline for exercise? Not only is it actually efficient, working various muscle groups, but it’s a whole lot of fun too! And it has a lot less impact on your bones and joints than other forms of exercise, such as running. Just jumping on a trampoline alone is a great form of movement, allowing your body to burn calories. The higher you go, the more energy you are using. Not only does it burn calories, but each time you bounce up and down your muscles react, helping with balance. If simple bouncing can burn calories, think of all the extra energy you can expel by doing a little dance each time you bounce! Twist, kick, hug your knees, bounce to the beat of music – do whatever movement you want before returning to the straight, upright position for landing. Jog on the spot while bouncing up and down. If you gradually increase your speed and height, this will give you the best workout. Trampolines can provide a great form of exercise, blending balance and movement. It’s sure to get your heart pumping! If you’d like to check out our range of trampolines, feel free to give us a buzz. We are always happy to help!